Buckskin Mountain State Park invites all watercraft users to enjoy the Colorado River, but we ask that you do so responsibly. That means ensuring that your watercraft meets all of the regulations for motorized and non-motorized watercrafts for your home state. Remember, both Arizona and California share jurisdiction of the Colorado River, so boaters should be familiar with watercraft regulations for both states. 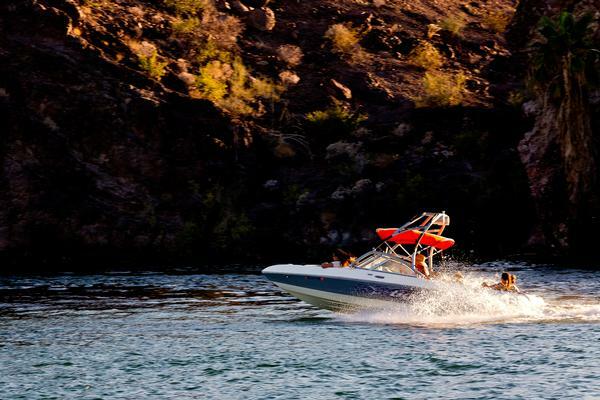 To learn more about the registration, usage, and what type of safety equipment you should bring, visit the Arizona Game and Fish's watercraft information page as well as the California State Parks Division of Boating and Waterways to make sure you have everything you need before you hit the water. Buckskin Mountain State Park has a two-lane launch ramp on the northeastern area of the park. Please be aware that there is no parking at the boat ramp. If you are camping in the park, please park back at your campsite. If you are a day-use visitor, please park in the day use parking lot.